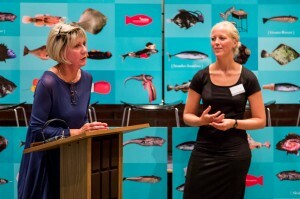 The Danish Colloquium took place on the 1st of August in connection with the opening of the exhibition Fish Tales : Fiskeskrøner. The exhibition is open to the public until the end of August. The exhibition focuses on cultural exchange from the traditional fishermen culture to present day society. With the fishing net as a metaphorical lace, fragments of myths and traditions from the older generation are highlighted and reinterpreted to form a reference point for dialogue amongst the elders and the young people visiting the centre. Karl Henrik Laursen, Director of the North Sea Science Park and Oceanarium, welcomed the participating visitors and our European partners. Subsequently, Head of Division for Food + Design, Aalborg University, Anna Marie Fisker introduced the exhibition. Major of the municipality of Hjørring, Arne Boelt, officially opened the exhibition together with lead partner, Professor of Textile Culture at University for the Creative Arts, Lesley Miller. 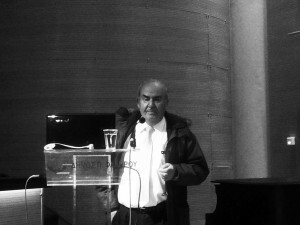 Boelt stressed the importance of international collaborations such as Transparent Boundaries for the local community and the quality of communicating the traditional fishermen culture and related crafts from the elders to children and young people through creative media. 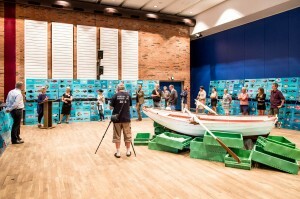 Following the official opening of the exhibition, the centre piece of the exhibition was revealed; a short film communicating reflections by local retired fishermen and net makers on the past, the loss of craftsmanship, cultural identity and the tremendous changes which society has undergone – as well as the subsequent consequences for inhabitants in regions like Hirtshals. Please click here to watch the short film. Hereafter, professor Lesley Miller gave an introduction to the English project focusing on mapping and the Transparent Boundaries project in its entirety. Her presentation was supplemented by Monia Bassetti, representing our Italian partsners in AMAT, who presented the Italian performance project. The colloquium and exhibition opening was concluded by tastes of traditional local fish dishes, prepared and presented by chef, Ole Kjærsgaard. De danske aktiviteter blev afviklet d. 1. august i Nordsøen Oceanarium, hvor åbningen af udstillingen Fish Tales : Fiskeskrøner fandt sted. Karl Henrik Laursen, direktør for Nordsøen Forskerpark og Oceanarium bød alle besøgende samt de europæiske partnere velkommen til stedet. Efterfølgende gav sektionsleder for Food+Design, Anna Marie Fisker en introduktion til udstillingen. Borgmester i Hjørring Kommune, Arne Boelt, foretog den officielle åbning af udstillingen sammen med professor ved University for the Creative Arts, UK, Lesley Miller. Boelt fremhævede vigtigheden af internationale samarbejder, såsom Transparent Boundaries projektet, for lokalsamfundet samt kvaliteten af at kommunikere den traditionelle fiskerikultur fra den ældre til den yngre generation gennem brug af de kreative medier. Efter den officelle åbning, blev ét af udstillingens centrale elementer offentliggjort; et videodokument med lokale fiskere og vodbindere, der kaster nutidige øjne på fortiden, tab af håndværk, kulturel selvforståelse og samfundsudviklingens voldsomme konsekvenser for lokaliteter og kulturer som den i Hirtshals. Klik her for at se videodokumentet. Herefter gav professor Lesley Miller en introduktion til det engelske delprojekt samt en general præsentation af Transparent Boundaries-projektet i sin helhed. Hendes præsentation blev suppleret af Monia Bassetti, som repræsentede vores italienske partnere i AMAT. 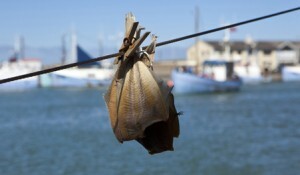 Den officielle åbning af udstillingen blev rundet af med smagsprøver på traditionelle fiskeretter fra området, tilberedt og præsenteret af kok Ole Kjærsgaard. Tastes of traditional local fish dishes – smagsprøver på traditionelle lokale fiskeretter. Intergenerational cultural exhange. 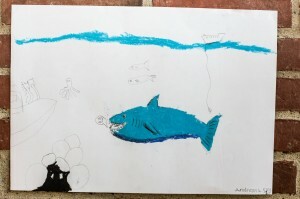 As part of the activities on the 1st of August children could participate in a drawing and modelling session ‘portraying’ the tales of the sea. Kulturel udveksling på tværs af generationer. Som en del af aktiviteterne d. 1. august, kunne børn og barnlige sjæle deltage i den tegne- og modelleringssession, hvor de afbillede deres fortolkninger af havets fortællinger. 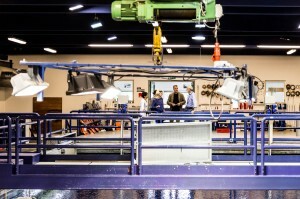 As part of the Danish activities the partners were introduced to state-of-the-art research facilities in the North Sea Science Park – creating a link between the traditional craft of net making and the modern day development of fishing trawls in the facilities. 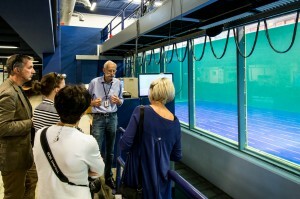 Further the partners were introduced to the dissemination facilities in Nordsøen Oceanarium and to the local harbor environment, which served as the overall setting for the yearly fish festival. 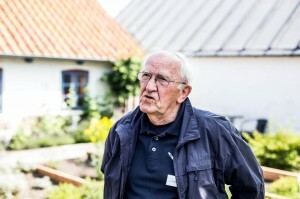 Jørn Munk, former director of the municipality trade office, gave an introduction to the life as an active retiree in the area and his voluntary work with dissemination of local art. Som en del af de danske aktiviteter, blev vore partnere introduceret til state-of-the-art forskningsfaciliteter i Nordsøen Forskerpark. Herved blev der skabt en link mellem de ældres formidling af det traditionelle vodbinder-håndværk og moderne udvikling af fiskeredskaber. Desuden blev partnerne introduceret til formidlingsfaciliteterne i Nordsøen Oceanarium og havnemiljøet i Hirtshals. Jørn Munk, tidligere chef for Hjørring ErhvervsCenter gav en introduktion til livet som aktiv og passioneret pensionist i området samt hans frivillige arbejde med kommunikation af lokal kunst til børn og voksne. 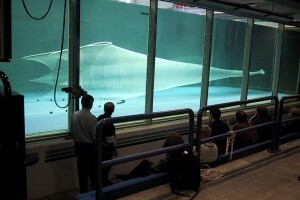 SINTEF Fisheries and aquaculture flume tank, The North Sea Science Park – test facility for testing of trawls and trawl doors. Introduction by Senior Research Scientist Kurt Hansen. 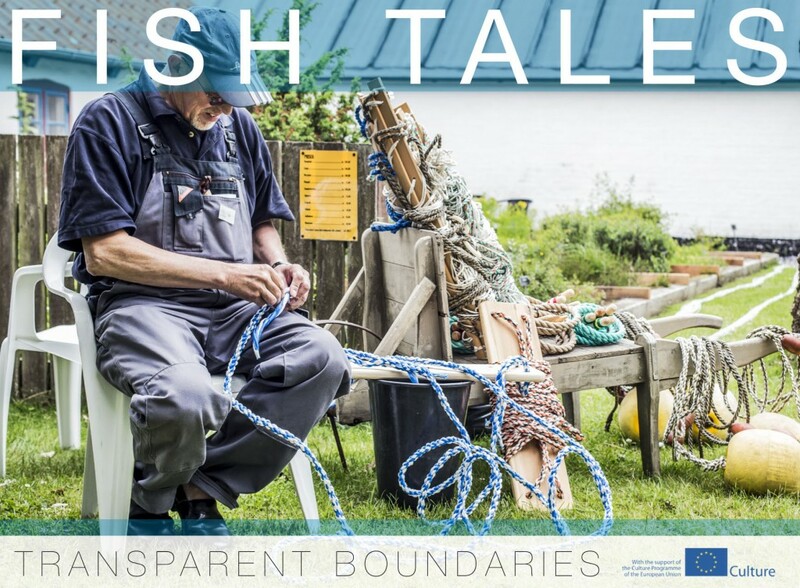 As a central part of the work in the Transparent Boundaries project a short film has been developed which documents local fishermen and net makers as they reflect on the past, the loss of craftsmanship, cultural identity and the tremendous changes which society has undergone – as well as the subsequent consequences for the people in places like Hirtshals. 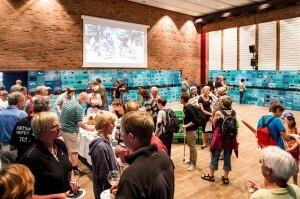 The film was exhibited in Nordsøen Oceanarium as part of the exhibition Fish Tales : Fiskeskrøner. Press here in order to watch the short film. Som en helt central del af arbejdet i Transparent Boundaries projektet er der udarbejdet et videodokument med lokale fiskere og vodbindere, der kaster nutidige øjne på fortiden, tab af håndværk, kulturel selvforståelse og samfundsudviklingens voldsomme konsekvenser for lokaliteter og kulturer som den i Hirtshals. Videoen blev udstillet som en central del af udstillingen Fish Tales : Fiskeskrøner i Nordsøen Oceanarium. Klik her for at se videodokumentet. 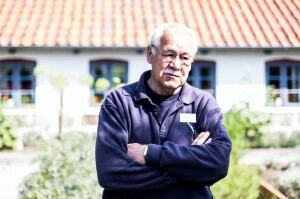 Retired fishermen and net makers meet in the museum garden in Hirtshals in order to communicate the craft of netmaking. Invitation for Transparent Boundaries colloquium on the 1st of August 2013 11am. 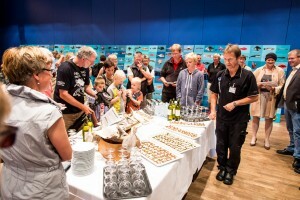 Exhibition opening Fish Tales : Fiskeskrøner in collaboration with Nordsøen Oceanarium and Hirtshals Fish Festival. 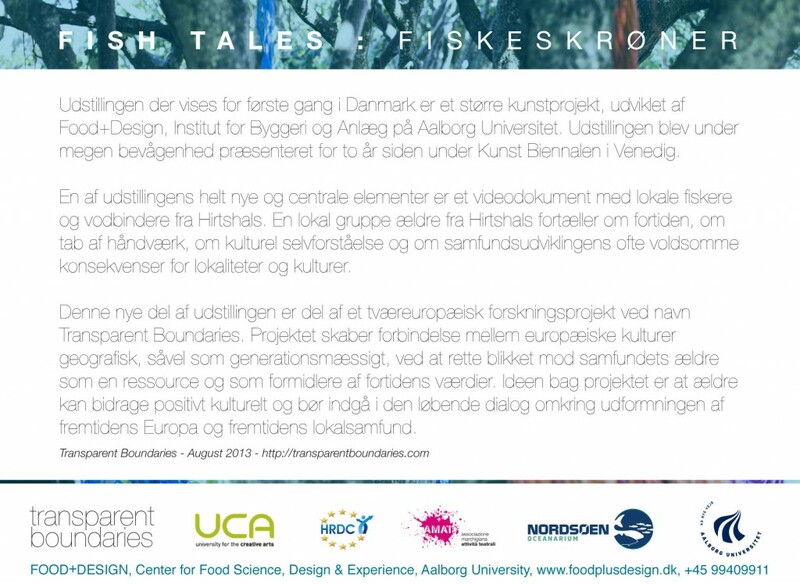 Invitation til åbning af udstillingen Fish Tales : Fiskeskrøner d. 1. august 2013 i Nordsøen Oceanarium i regi af EU-kulturprojektet Transparent Boundaries. Udstillingen præsenteres i samarbejde med Nordsøen Oceanarium og Hirtshals Fiskefestival. Link to program for the Fish Festival. The exhibition, which is displayed in Denmark for the first time, is part of a larger art project, developed by Food+Design, Department of Civil Engineering at Aalborg University. 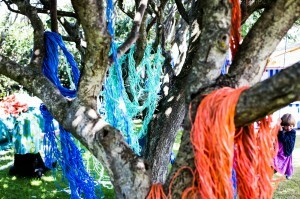 The exhibition was presented two years ago at the Venice Art Biennale, where it gained much attention. 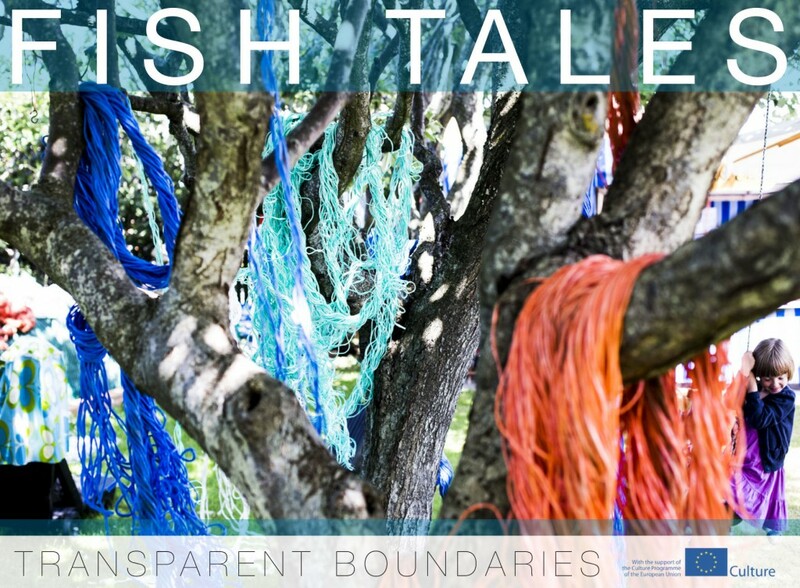 One of the brand new and central elements in the exhibition is a short film with local fishermen and net makers from Hirtshals. A group of locals from Hirtshals reflect on the past, the loss of craftsmanship, cultural identity and the tremendous changes which society has undergone – as well as the subsequent consequences for the people in places like Hirtshals. This new part of the exhibition is part of a European research project “Transparent Boundaries”. The project creates links between European cultures – geographical as well as intergenerational – by highlighting the elders as a resource and as communicators of the values of the past. The main driving force behind the project is the believe that elders can contribute positively in a cultural context and should be part of ongoing dialogue about the cultural future of Europe. Having just returned from Italy we feel the urge to express our thanks to our Italian partners in AMAT for a very special and interesting intervention. It was a pleasure to watch the Italian group of elderly people engage in the activities facilitated by Alessandro Sciarroni. 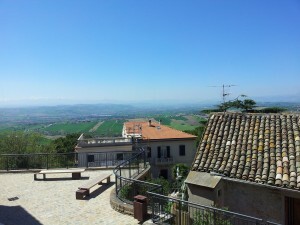 Activities, which have initiated many surprising discussions on the topic of aging. 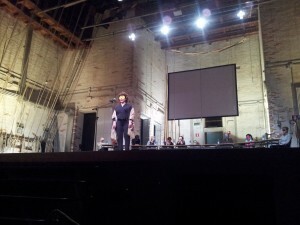 With the theatre as a medium – in the beautiful setting of the Persiani theatre in Recanati – we witnessed an intimate and humorous conclusion of the workshop which opened up for new perceptions of the theatre as a catalyst for discussions on societal issues. Bravo! After a very positive initial meeting with the board of the Hirtshals Fish Festival we look forward to further developing the Danish part of the Transparent Boundaries project. 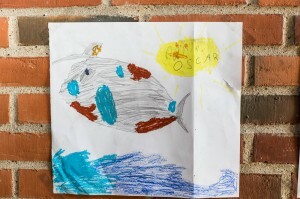 Through collaboration with Nordsøen Oceanarium and the Hirtshals Fish Festival we seek a strong local anchoring of the research project in the Northern Jutland fishing environment. 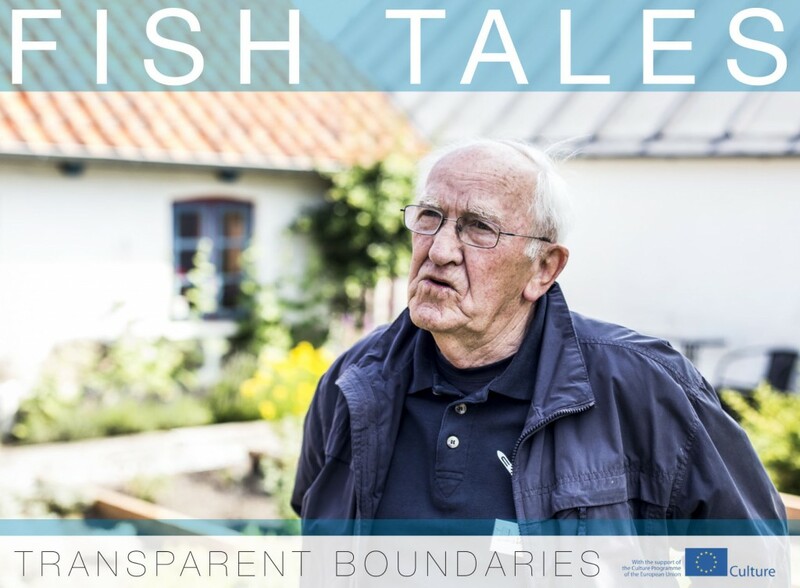 In the spring and summer months to come Aalborg University will engage in a dialogue with a number of retired fishermen in Hirtshals; together seeking to extract and reinterpret networks of myth and traditions to form a starting point for cross-generational cultural exchange and discussion. Efter et meget positivt første møde med bestyrelsen for Hirthals Fiskefestival, glæder vi os til at videreudvikle den danske del af Transparent Boundaries-projektet. Gennem samarbejde med Nordsøen Oceanarium og Hirtshals Fiskefestival tilstræber vi en stærk lokal forankring af forskningsprojektet i det nordjyske fiskeri-miljø. Gennem foråret og sommeren vil Aalborg Universitet indgå i dialog med en række pensionerede fiskere og vodbindere i Hirtshals; sammen søger vi at udlede og genfortolke netværk af myter og traditioner, som kan danne et udgangspunkt for kulturel udveksling og diskussion på tværs af generationer. 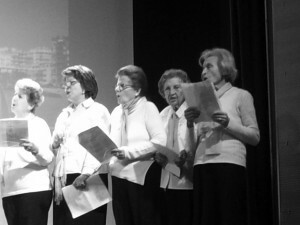 In Athens we had the great pleasure of experiencing the choirs of the elderly engaged in the Open Care Centre of the Municipality of Palaio Faliro, which has been involved in the Greek part of the Transparent Boundaries project. 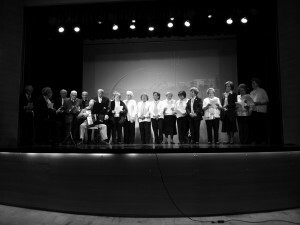 Three large choirs beautifully performed traditional Greek folk songs in a very moving moving and life-affirming manner. 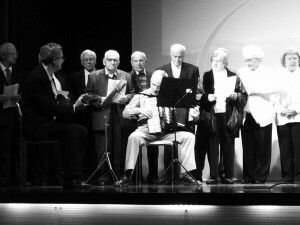 Following a series of very interesting lectures on the position of the elderly in the Greek society a number of newly developed poems were read aloud. The poems were developed on the basis of workshops with the elderly and focus on thoughts on one’s old age with point of departure in lace as a consistent motif. I Athen havde vi fornøjelsen af at overvære et arrangement med korsang, digtoplæsning og et antal forelæsninger. De deltagende ældre repræsenterede et ældre-center tilknyttet kommunen Palaio Faliro (forstad til Athen), som har været involveret i den græske del af Transparent Boundaries projektet. Tre store kor lavede hver en meget smuk fremførsel af græske folkesange – i en både meget bevægende og livsbekræftende form. Efter et antal interessante oplæg om ældres position i det græske samfund, var der digtoplæsning. Digtene er lavet på baggrund af workshopforløb sammen med de ældre og fokuserede på aspekter af alderdommen med udgangspunkt i kniplinger og blonder som det gennemgående motiv.